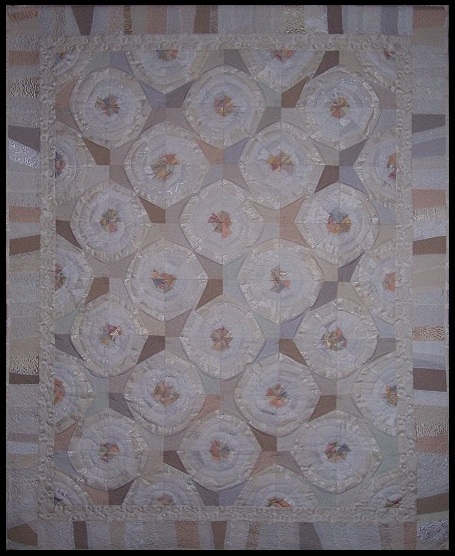 This delicately coloured dream includes fabrics from my wedding dress as well as my husband’s aunt brocade wedding gown. None of the fabrics were purchased, but collected from friends and family who had scraps remaining from projects such as drapery and clothing. The methods of construction include raw-edge appliqué on a triangular foundation and piecing. Machine quilted.